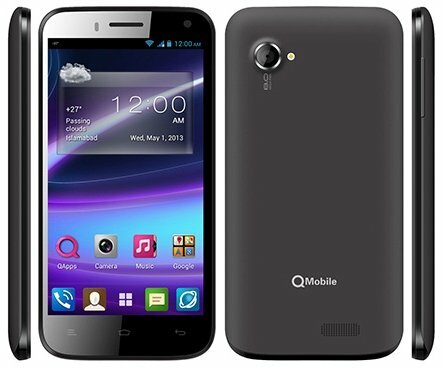 In its Noir series of Android smartphones, QMobile has ousted a new device which is called the Noir A700. You might have seen it on TV. Noir A700 comes with a 5.3” display of qHD resolution and a 1.26 GHz quad-core processor. There is a 1.3 mp camera at the front followed by an 8mp camera on the back. Noir A700 is 8.3mm thick. Along with 1 GB RAM, beneath the surface lies a quad-core 1.2 GHz processor. 4 GB expandable is the amount of storage set. The connectivity options include 3.5mm headphone jack, Wi-Fi, microUSB and GPS. With the capacity of 3000mAh, the battery should last long. The price of Noir A700 is PKR 21,500, which is not much for the phones of these specs. Though the Noir A600 or G9 smartphones, with similar specs and better display comes at a cheaper price.